An ideal choice for corporate and leisure travelers alike, TownPlace Suites Houston Northwest ensures to alleviate stress and elevate comfort during your extended stay. 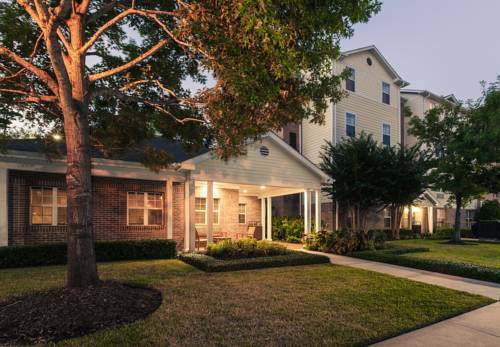 From our hotel, you'll have convenient access to popular area attractions like Vintage Park and Houston Premium Outlets, as well as prominent businesses including Hewlett-Packard and Noble Energy. Following a busy day, retire back to our spacious suites, where you can effortlessly unwind and enjoy browsing your favorite sites via our complimentary Wi-Fi. Fully equipped kitchens allow you to cook nutritious meals while avoiding expensive dining and takeout. Start your morning off right with our free breakfast buffet, serving a delicious mix of hot favorites and light fare. When you have free time, give yourself an adrenaline boost at our nicely appointed fitness center, or take a refreshing dip in our outdoor pool. Plus, you can even bring along your pets for your Houston, TX trip. Make your reservation and savor an upbeat travel experience!